As summer’s end nears, the Hampton Roads real estate market remains hot with August yearover-year increases across the board, including residential listings for sale, pending sales and settled sales. For the first time in 31 months the number of residential listings for sale has increased year-overyear. There were 0.85% more residential homes listed for sale in August 2013 than there were in August 2012. The Hampton Roads market hasn’t seen an increase in this segment of the market since January 2011. Of the region’s seven major cities (Chesapeake, Hampton, Newport News, Norfolk, Portsmouth, Suffolk, Virginia Beach) Norfolk and Suffolk saw the largest increases at 8.55% and 4.6% respectively, while Newport News and Chesapeake each decreased 7.04% and 5.20%. Residential pending sales exhibited a positive trend, increasing 9.09% year-over-year. Suffolk and Portsmouth experienced the largest increases at 30.77% and 27.08% respectively, while Hampton and Newport News dropped 2.9% and 2.7%. Residential settled sales continue to increase year-over-year and rose 6.81% when compared to August of last year. Norfolk and Virginia Beach saw the most significant increases at 15% and 14.23%. Newport News and Chesapeake were the only two major cities not to experience year-over-year increases, instead declining 24.39% and 5.52% respectively. The residential median sales price for the region is currently $218,450, up 4.75% when compared to August 2012’s median sales price of $208,535. The distressed market, homes that are either short sales or foreclosures, showed slight improvements. Though up a slight .05% from the previous month, distressed properties made up just 22.08% of the total number of residential listings for sale in August 2013, which is 2.66% less than the same period of time last year. On the sales side, distressed properties accounted for 20.98% of all residential settled sales, up .45% from last month, but still down 3.42% year-over-year. Residential active listings increased, 0.75% year-over-year, to 11,347 (August 2013) from 11,263 (August 2012). Total residential under contract sales increased by 9.09% when compared to August 2012 (2,041 vs. 1,871). a decrease from last month (6.56) and down 7.53% from August last year when it was 7.04 months. * Months’ Supply Inventory estimates the number of months it will take to deplete current active inventory based on the prior 12 months average sales activity. **This information was provided by REIN Press release 8/13. These statistics are based solely on listings entered into the Real Estate Information Network by REIN broker members. The geographical area includes southeastern Virginia (Norfolk, Virginia Beach, Chesapeake, Portsmouth, Suffolk, Franklin, Smithfield, Isle of Wight, Hampton, Newport News, York County and Poquoson) to Williamsburg, James City County, Gloucester, Middlesex, Virginia’s Eastern Shore and northeastern North Carolina. 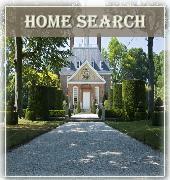 Reports include all property types: Attached and Detached Residential, Duplex, Apartments, Commercial, and Land & Farms.